If you liked this show, you should follow Meg Benedicte. 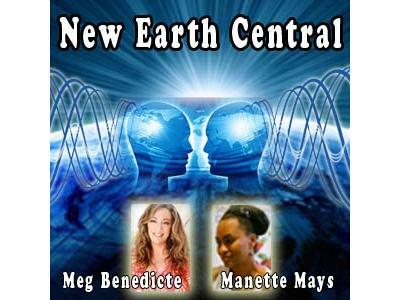 Evolutionist and Vortex Bio-Energetic Healer, Meg Benedicte discovered early on that she had a unique gift for ‘seeing’ subtle energies and could identify the vigorous traumatic patterns that relate to dysfunction and ill health. Over the years, she has become a notable pioneer in Bio-Energetic Healing, first through her own transformation and eventually working with clients spanning the globe. Through her extensive research, Ms. Benedicte has created an original and powerful healing approach utilizing Quantum Vortex energy, the distinctive proprietary process known as Unified Field Therapy®. In this healing program, Ms. Benedicte helps her clients to quickly change their lives by altering out-of-date systems that limit the human experience. Currently, Ms. Benedicte is sharing her unique wisdom and the dramatic findings of her research with ever widening audiences in teleclass/webinars, various speaking events, online radio shows, blogs and articles, CD Meditations, and in her book, Soul Realized. Humanity cannot survive as a species if we continue to perpetuate global wars, pollution, rampant consumption and destructive competition.